PRODUCT: Before creating the House of Chanel, Coco was Gabrielle. A rebel at heart...passionate and free. The inspiration behind the luminous floral fragrance: GABRIELLE CHANEL. COMPOSITION: Olivier Polge crafted this Eau de Parfum as an imaginary flower a radiant and sparkling, purely feminine Chanel blossom based on a bouquet of four white flowers: a rich, enveloping heart of exotic Jasmine shimmers with the fruity green notes of Ylang-Ylang, while fresh and sparkling Orange Blossom shines through, offering a glimpse of Grasse Tuberose captured at its finest. Four points of light that recall the four corners of the bottle. 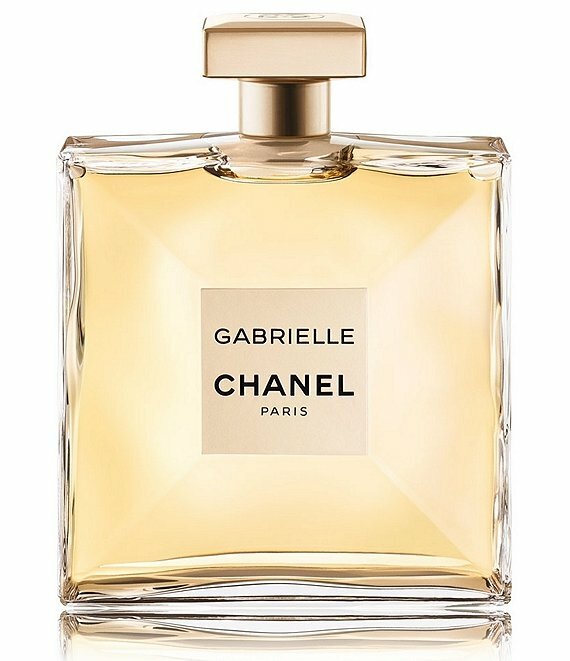 ART OF PERFUMING: Apply GABRIELLE CHANEL fragrance on skin or clothing with a deliberate and generous spray. DESIGN: The fragrance appears to be suspended weightlessly within the striking, square bottle crafted of ultra-thin glass, as the four transparent sides fade into the background to let the light shine through. The label and the stopper have the same shape and indefinable lamé colour, a delicate balance between gold and silver, and the interior is warmed with an even more resplendent gold. Nestled in an imprint of its silhouette, the bottle is carefully protected by a precious interior sleeve.